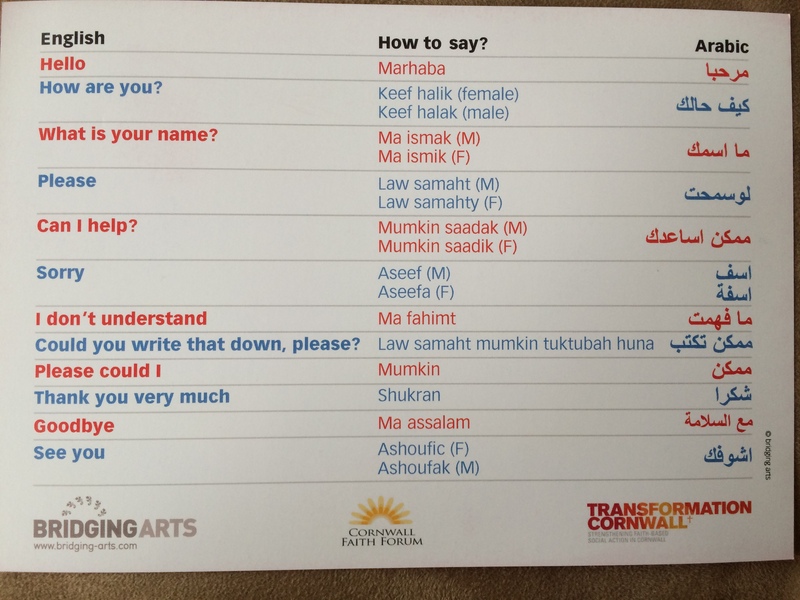 An exciting new development in our project, Let’s Talk: postcards in Arabic, in collaboration with the Diocese of Truro. 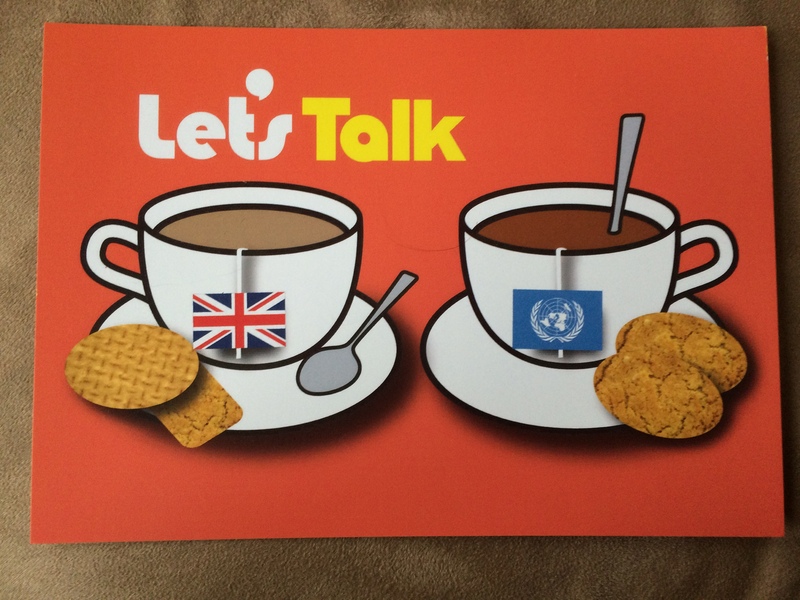 Let’s Talk started in west Cornwall ten years ago and was aimed at bringing together migrant workers and local communities – who might otherwise might not meet or interact. We worked with the Diocese of Truro to develop this project and kept a blog about the work which grew into various exhibitions and workshops with schools. Let’s Talk was a simple idea. We wanted to bring people together. We asked villages and towns to open Church and community halls and to invite local workers (often living in caravans on farms) to social evenings for a cup of tea and a pasty. We created postcards, posters and fact sheets so that people could communicate and learn more about each other’s cultures. It worked well. 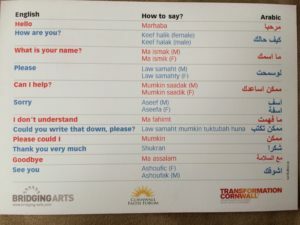 The postcards in particular were really successful – hence the latest versions in Arabic. The project evolved into I Packed This Myself, an exhibition of suitcases created with migrant workers showing what they brought with them when they arrived in the UK. The Commission for Rural Communities wrote a report about Let’s Talk , showcasing it as a national example of good practice. To see a photogallery in The Guardian, click here. For another, featuring the photographer Tom Pilston’s work, click here.